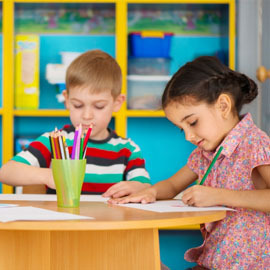 The mission of First Class Child Development Center is to provide high quality academic curriculum in a home-like atmosphere that stresses the nurturing and teaching of children. By providing a home-like environment, the child’s setting is more conducive to learning as it resembles the environment where the child learns the most, from his/her parent(s) at home. 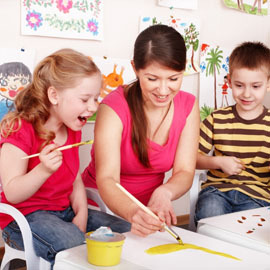 By establishing a developmentally appropriate environment, the child learns through interacting with the materials and equipment skillfully laid out by a professional staff. The teacher moves through the environment reinforcing the information being learned and guiding children toward other avenues of learning in order to stretch their minds along the pathway to more and more complex thinking skills. 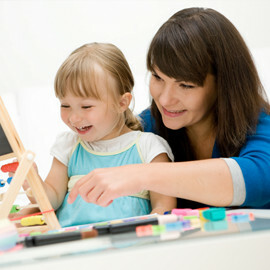 Want to learn more about First Class Child Development Center? Contact us today!